Pepsi Light was relaunched in Australia in September 2006 with a touch of light embarrassment featuring the new face of Pepsi Light, Christie Hayes, the woman who played Kirsty Sutherland in Australian soap Home and Away. The Pepsi Light campaign was designed to introduce Australians to the new packaging. Readers of ACP womens magazines Cleo, Cosmopolitan and NW were invited to send in their own embarrassing moments. The Pepsi Light web site featured the OMG moments of Pepsi Light drinkers. The campaign has now moved beyond it’s initial phase. The web site has moved off the embarrassment theme. The ad is now being shown on Australian screens beginning with the spin scene, a more hard sell segment, finishing with the moment in the lift. 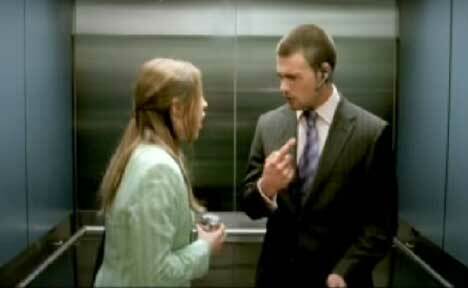 The Pepsi Light Lift (Elevator) TV ad was created at Clemenger BBDO, Sydney. Filming was shot by director Adam Stevens at Robber’s Dog. Post production was done at Cutting Edge.